The wait is over. It’s here. The Mueller report will be released on Thursday. And I’m pretty confident it will be another day, another news cycle, and another weekend where the Democrats and the liberal media eat crap again over their Russian collusion peddling. It's expected to be around 400 pages long, and it will be redacted. 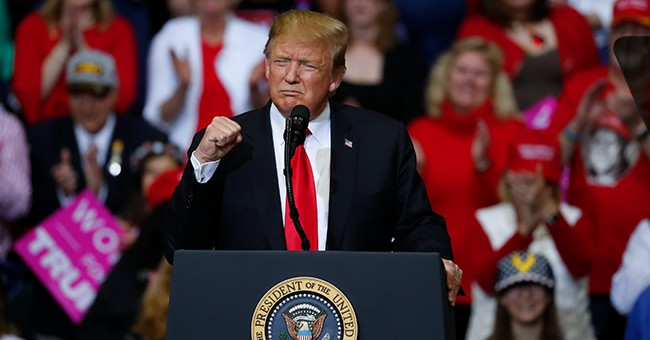 One thing is for sure: President Donald Trump is about to have another good day ripping the Democrats over this witch-hunt. What to watch: The report is expected to be around 400 pages, not including underlying evidence. Attorney General Bill Barr said he would color code redacted information that falls into 4 categories, and that each redaction will include explanatory notes. Barr told a House Appropriations subcommittee that once the redacted version of the report is sent to Congress, he would be "glad to talk to [House Judiciary] Chairman Nadler and [Senate Judiciary] Chairman Graham as to whether they feel they need more information and see if there’s a way we could accommodate that."